Many of our customers use the Magento eCommerce platform to power their online presence. This means that our team of support engineers has a great deal of experience in how to get the best performance from this popular platform. Magento is a great solution for eCommerce because the customisation options and extensions allow you to create a professional, robust site without reinventing the wheel. However, the ‘out of the box’ settings are designed for simplicity rather than pure performance, so you need to tweak certain settings to get the best performance. As an example, here’s one of the simplest optimisations you can do – adding a front-end cache. Properly configuring Varnish and Magento will allow static and frequently viewed dynamic pages to be cached and rendered to the browser much faster. Varnish also takes the PHP load off the server which means that your website can handle many more users simultaneously and many more transactions per second. We ran two identical virtual servers and installed the Varnish cache on one. This simple change improved performance over 1290x than the standard installation. We installed 2 identical virtual machines with identical sets of server resources before installing Magento Community Edition 1.8. 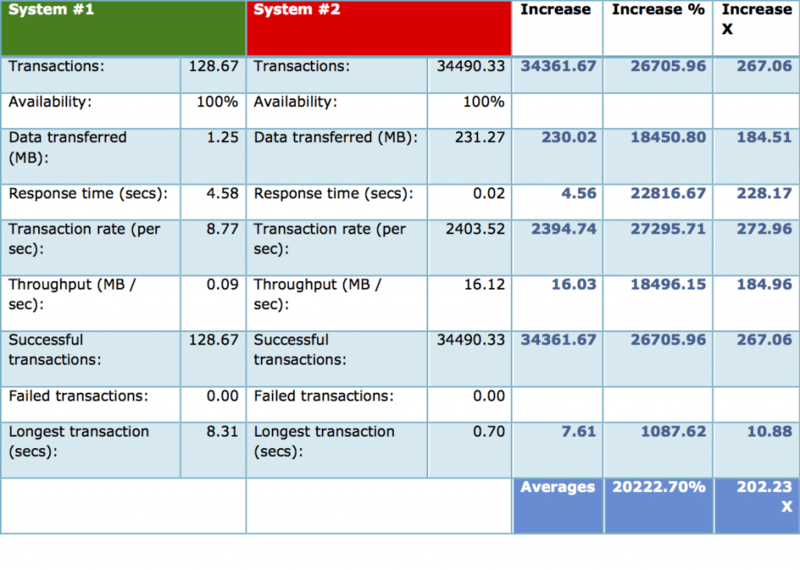 System #1 was left un-optimised but had Magento settings tuned to allow for maximum recommended performance settings. System #2 was optimised and setup to use Varnish cache as a front end cache system. Each system had the Magento Sample Data set installed along with 2000 dummy users and 10000 sample products. The dummy users were generated using n98-magerun.phar. The sample products were imported using MAGMI from a CSV file containing the products (available here) . The Fontis Australia extension was also installed on each system and the Locale options were setup for Australia / Sydney. 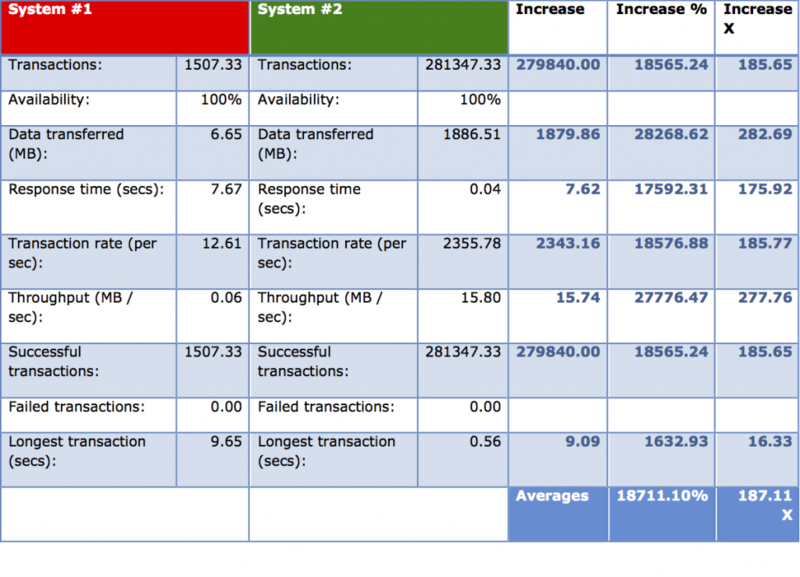 Using the Siege HTTP load testing and benchmarking utility, each system was tested multiple times in 4 different scenarios. The Siege utility was run from the server being tested in each case, so network speed and latency were not factors in this test – only server transaction capacity and volume. Based on the above results, the average percentage performance increase factor was 1291.67 times better performance on static and frequently viewed pages. To get a FREE Magento Benchmark Test in order to increase conversions and provide a better user experience for your shoppers is by speeding up your website, click here. If you’ve got experience of running Magento sites, what are the other essential extensions and optimisations that you recommend? Leave a comment below or tell us on Twitter at @MacquarieTelco.